Celeb Tweets: Dr. Junger Yacht Dancing in Bora Bora. *Went to the UN today with my friend Billy Zane to talk about the Clean Program. Got two Ambassadors to agree to do it.8:11 PM Jun 23rd from Tweetie"
"Dr. Alejandro Junger was born in Uruguay. He graduated from medical school there in 1990 and moved to New York City for his postgraduate training. He completed three years of training in Internal Medicine at NYU Downtown Hospital and three more years of fellowship in Cardiovascular Diseases at Lenox Hill Hospital. His findings are the subject of his first book, Clean. In it, Dr. Junger describes how he became aware of the toxicity of our planet. He also explains how detoxification and cleansing have been around for thousands of years, but knowledge about them has been lost at at time when it is more important than ever before. Most importantly, Clean is a manual for readers to learn how to turn our detoxification systems on full speed while supporting our bodies to maximize their effectiveness. 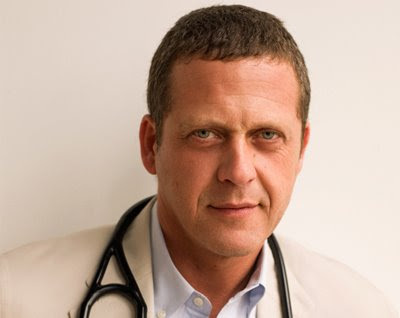 Dr. Junger now lives in New York City, where he practices at the Eleven Eleven Wellness Center and is also designing an Integrative Medicine Service at Lenox Hill Hospital, for which he was asked to be the Director of Integrative Medicine."